Are you prepared to be inundated with awesomeness? In February, the UFC intends to utilize their live show in Japan to generate hoopla for their live pay-per-view broadcast in Las Vegas that same night. That means there will be two live UFC events taking place during a 24-hour span. Due to the differences in time zones, Japan’s February 26th (Sunday) card will be held in the early morning local time in order to serve as a lead-in for the company’s PPV event in Nevada on Saturday. 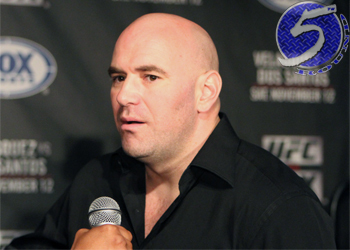 “It’s gonna happen,” UFC president Dana White stated over the weekend. “The way that it would work is, the fights from Japan would go on live TV for free and lead into a pay-per-view. White isn’t sure which television outlet will broadcast their freebie event in Japan, but he did promise fight fans that their back-to-back shows will be of the star-studded variety. “Both cards [are going to be] stacked,” White emphatically stated. “The Japan card will be sick. The Octagon makes its long-awaited return to Japan inside the Saitama Super Arena. No bouts have been announced for the card thus far, but plenty of superstars have already requested to compete in the organization’s comeback to the orient. Furthermore, information regarding their February 25th PPV event on The Las Vegas Strip has also been scarce.